Ollie and Roy work hard toward a good home, but year after year, as drought destroys crops, and doctor bills arrive, Roy goes to other states to find work so they can pay the mortgage and survive. Ollie and the children work the farm, plowing and harvesting, while he is away. 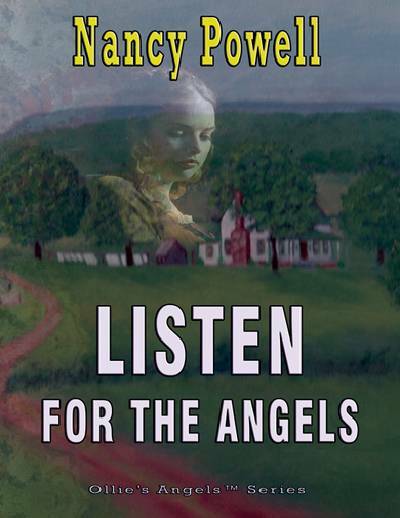 Listen for the Angels, the third book in the Ollie's Angel Series, begins on the road to California where Ollie and Roy move with three little girls in search of a prosperous life following struggles on an Arkansas farm during the Great Depression. Roy works at farm labor. Ollie joins him in the fields during cotton-picking season and becomes infected with a disease the newspapers call Sleeping Sickness. Several people die from the illness, but doctors do not know the origin. Ollie's intuition tells her that mosquitoes cause it-she takes a quinine tonic and recovers. They return to Arkansas, buy a small farm and continue to struggle. Almost every year, Roy goes away to work in other states to earn money for the mortgage, to buy seed and fertilizer for crops, and to pay doctor bills.